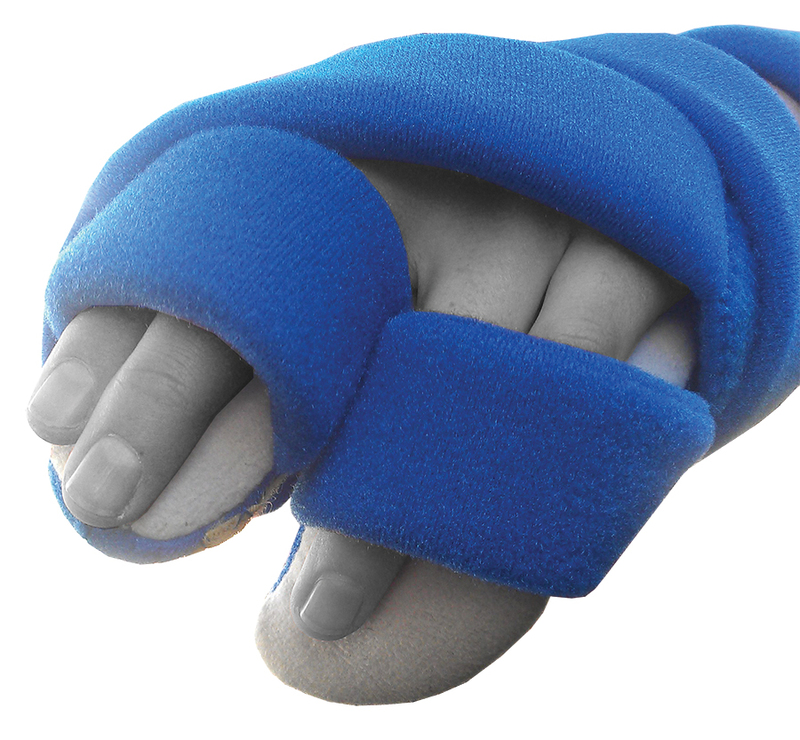 Padding provides comfort and redistributes skin pressure. High-temperature plastic base can be remolded by your health professional to continue restorative process as the patient improves. 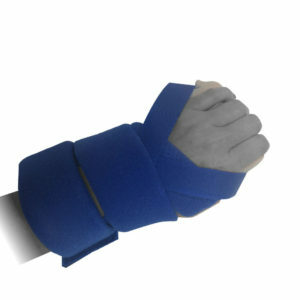 Slit between the middle and ring fingers fits many lost-range conditions with little or no remolding. Thermal adaptive technology for optimal comfort. 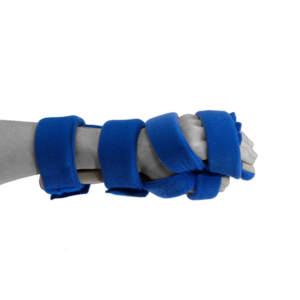 Lightweight support for painful extremities. 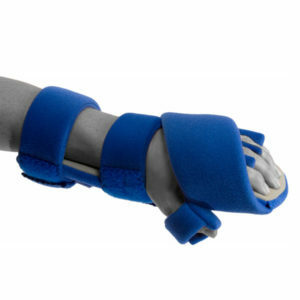 Plastic base extends under the thumb gradually abducting it comfortably. 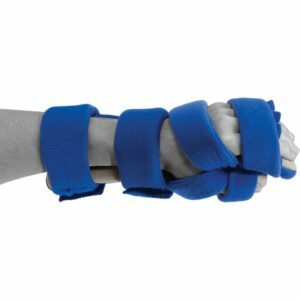 Flex Technology splint moves with the patient’s abnormal muscle tone and spasticity for comfort and helps to relax the abnormal muscle tone. Color coding aids proper strap attachment. See product selection or size below.